In my senior year of Walters State in 2009, I slowly started to take a liking to gardening. I never cared for being outside and still feel that way a little; but putting something to grow and letting it flourish had a sense of accomplishment along to it. I equated it to the same level as raising fish; it was a hobby, and something that I liked. What set me on that path even more was the stories of rare and odd trees that people would grow, or rare seeds from a special flower. The one that I got hyped on was the heirloom category, genuinely interested in letting 100-year-old strains of peppers or tomatoes to bloom freely out, the rare fruit being yours. My family is quite basic when it comes to farming, only growing common things like mustard, tomatoes, eggplant and bell peppers. So if anything unusual is grown, it’s usually either my mom or I that would introduce such plants. It had come to light in that year that Bhut Jolokia was the hottest pepper in the world. This had certainly piqued my interest at the time, and by then I had made my growing interest of growing rare things like Bhut. That would be my goal of the year; to grown some heirloom things. 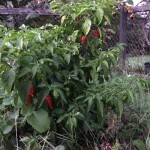 I easily located someone who was selling Bhut seeds on eBay, having jumped the gun and buying them in early February. In mid-April I started to plant them as seedlings indoors. The directions for these were tricky. 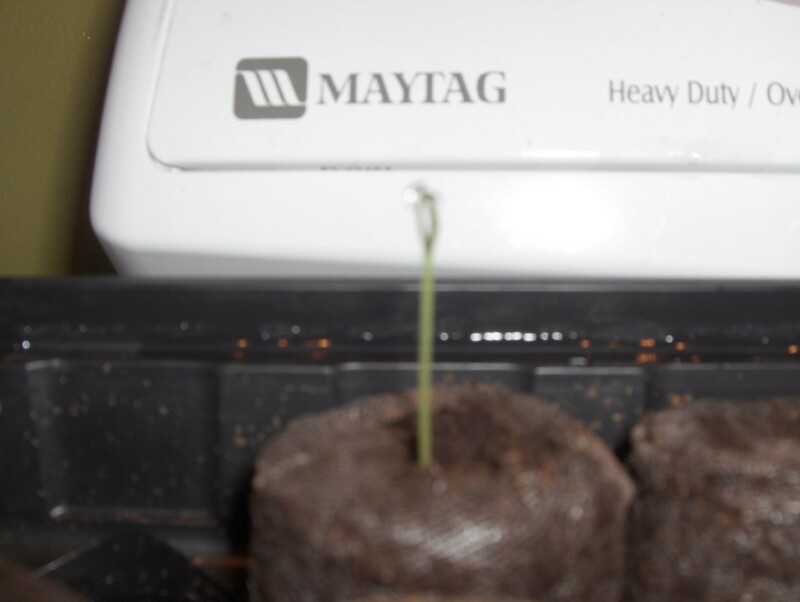 It was stated that you had to give them constant heat for the duration of their germination, averaging 75-80F. I had no heat mat so used an accent light instead. I used peat plugs and put them to grow. Unfortunately, half of these seeds sprouted, and only one survived. This was because my dad decided that the light didn’t need to be on and switched it off one morning. Overnight all but one of the sprouts were covered in mold and had died. There was nothing to be done. The lone surviving bhut seedling. Macro photography wasn’t a perfected art back in 2009, both with user and hardware. Because of only one surviving, I did not plant this seedling in the ground. Instead, I grew it in a pot during the summer. 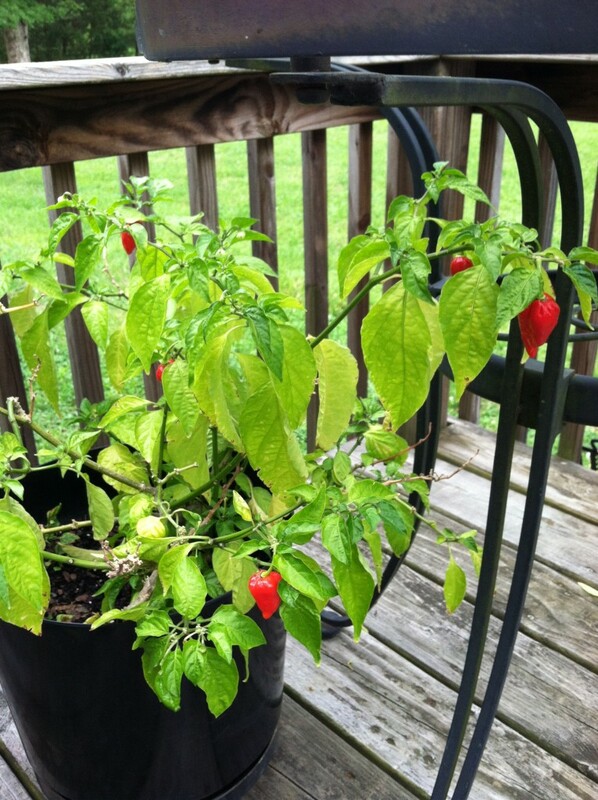 The plant grew to an impressive two feet, giving a small crop of bhut peppers its first year. Strangely, my parents took a liking to the pepper. It was a lot hotter than anything they had in Guyana and had an interesting aroma to it. Because of the limited yield it was a novelty, so it wasn’t really used its first year. When winter came the plant was brought indoors. Bhut tree in its pot circa 2013, after having been brought in an out for several years. In subsequent years, the tree would be put outside during the summer months, and brought indoors on a cycle. It was regarded as a lone survivor from the batch of seeds that I had bought, prized even more for its age. I don’t know why I never bought more seeds to plant right away. 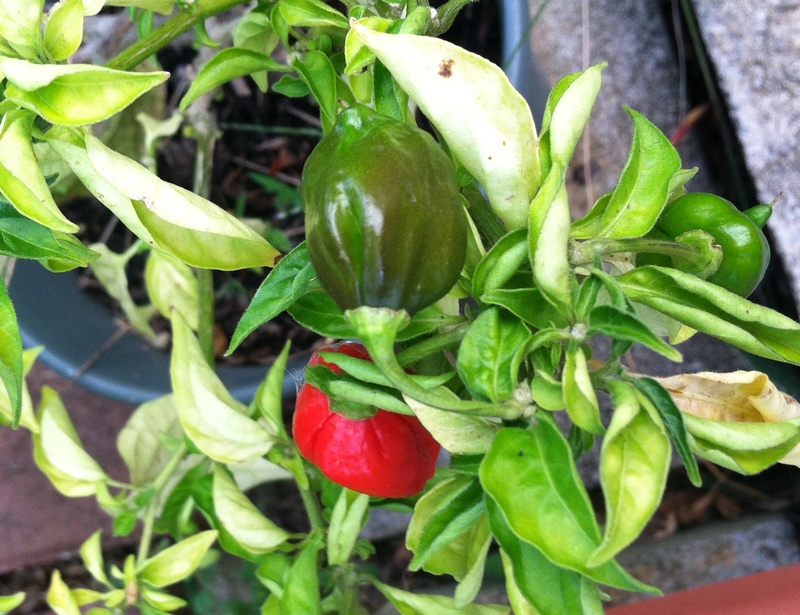 The second year that we had placed the bhut tree outside, the peppers were much more plentiful this time around. This time we had enough to make a small bottle of sauce. The original verdict for its sauce capabilities were that the hotness was lost over time (especially if you added more vinegar to it), but the bhut flavor would remain. My parents said that while the bhut certainly was the hottest pepper that they ever tasted, but it was a “flash hot”, not a lingering burning. They still preferred they’re Guyanese peppers for this reason. However eventually they started to incorporate the bhut into their yearly sauces. They’d mix the regular hot peppers (cayenne and habanero) with bhut, getting the flavor of bhut but preserving the hotness typically carried over by cayenne. Eventually bhut became a base ingredient in most everything. In 2014 my dad decided to plant the bhut outside in the ground. The result was getting an amount of peppers we never saw the likes of. Week after week we would pick a medium-sized basin full of peppers, averaging between 20-30 peppers every week. We had lots of peppers sauce out the wazoo, clearly intending to do it again next year. The amount of peppers on average we would get in about 7-10 days. The bhut tree late August. This thing was almost two feet across and about just as high from having been planted in the ground! When we dug up the plant to bring in that winter, my mom developed CHF (congestive heart failure). Taking care of her all winter, we neglected most if not all our houseplants. 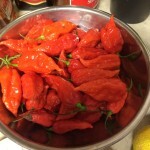 The bhut shriveled up from dehydration and died around Christmas-time that same year. It’s death was not in vain, however. From all those multitudes of peppers the tree has produced, we have lots of seed from almost every producing year. 2014 was no exception, and my Dad shocked me by saying he’d love to plant an entire bed of bhut pepers. It was a sad thing and I greatly enjoyed the plant when it was around, and certainly plan to plant a whole batch of them this year. Who knows? Maybe one or two of them will be around for another few years.